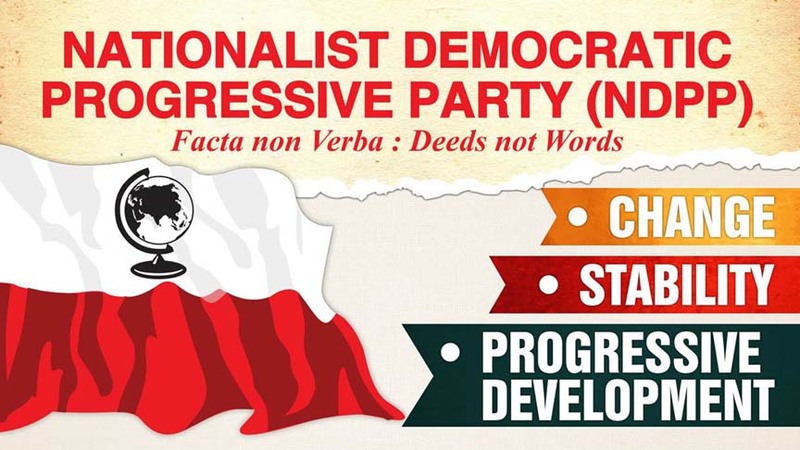 The Naga People’s Front (NPF) Legislature Party on Saturday accused ruling Nationalist Democratic Progressive Party (NDPP) of feeding wrong information or imparting wrong education to the people of Nagaland over the Citizenship (Amendment) Bill. “It is totally unbecoming of a political party ruling the state,” NPF Legislature Party spokesperson Imkong L. Imchen said in a release issued in reaction an NDPP’s statement which said if the Citizenship (Amendment) Bill did become an act, the Nagaland Legislative Assembly has the provisions of Article 371 (A) not to implement it in Nagaland. Imchen explained that the Citizenship (Amendment) Bill 2016 and Citizenship Bill 1955 relate to granting of Indian citizenship whereas Bengal Eastern Frontier Regulation Act 1873 vis-à-vis Inner Line Permit is for granting of permission to visit a certain place or region for a certain period of time. “These two subjects cannot and should not be clubbed up together but should be always different because it is different to each other by law,” he said. Imchen also termed the NDPP’s contention that the village councils can grant citizenship as per 371 (A) of the Constitution of India as “totally wrong and mischievous and intentional misleading of Naga people”. “The act of Parliament, in regard to the Citizenship (Amendment) Bill 2016, is to grant citizenship of India but not for citizenship of a village. Thus, the argument of bringing the village councils or Nagaland Village & Area Council Act 1978 into the picture is irrelevant,” he said. The NPF Legislature Party ridiculed the NDPP for asking the Centre to review the Bill while their Lok Sabha MP Tokheho Yepthomi did not raise objection when it was passed in the Lok Sabha. “This is a shameless act to once again intentionally mislead its own people for cheap political mileage. This is heights of betrayal and insult to the intellect of the Naga people,” Imchen said. He, however, agreed to NDPP’s statement that Nagaland has been exempted from the purview of 73rd Constitution Amendment of 1992 since it would amount to infringement of provision of 371 (A). “We could not agree more on this, which was done during the Congress regime. Can we expect the same of the NDPP and its coalition partner to do the same?” he asked. Imchen said the NPF has already explained the gist of the Bill to the people. He appealed to the legal luminaries of the state to come out with their point of view and interpretation with regard to the Citizenship Bill to enlighten the people further without any political colour.